The plants lining this Seattle path (covered with crushed basalt) filled out in just a couple of seasons. Read on to discover them all. Clumps of yellow-green leaves grow 1 to 3 feet tall. 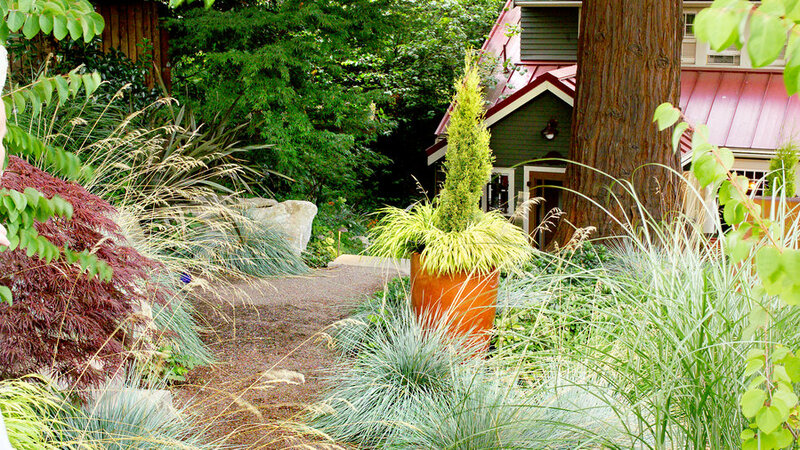 Here, four plants fringe a dwarf Italian cypress. 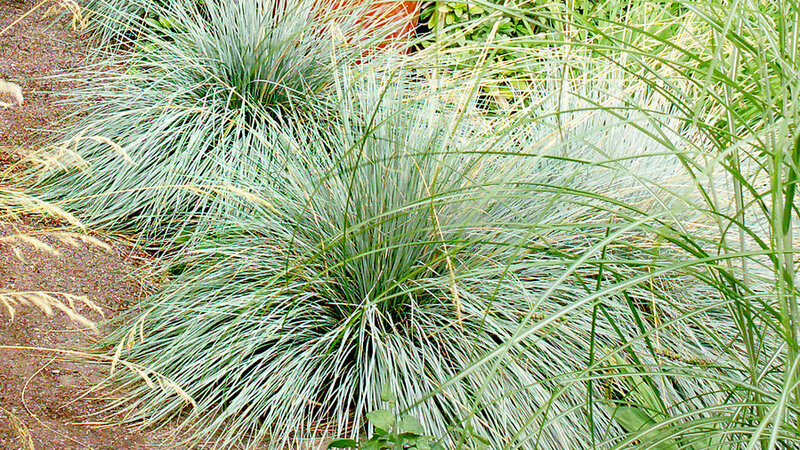 Blue-gray leaves form a clump to 3 feet tall, with wispy, straw-colored flowers in spring. Space 30 to 36 inches apart. 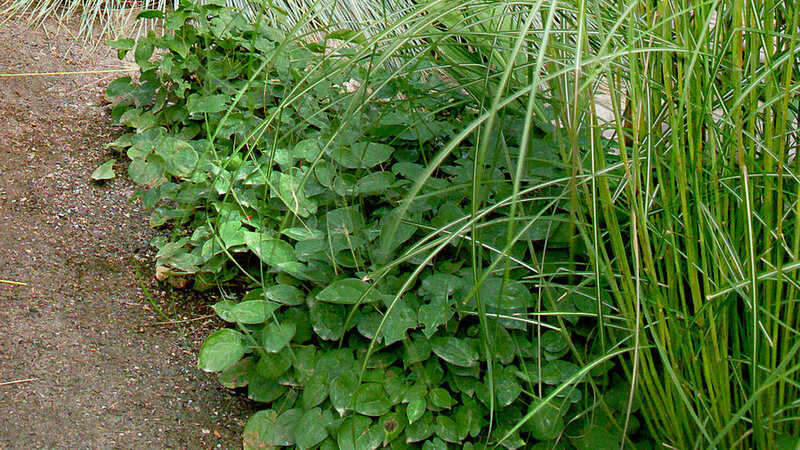 A low groundcover 12 ​to 20 inches tall with yellow flowers and semi-evergreen leaves; it spreads by underground runners. Space ​1 foot apart. 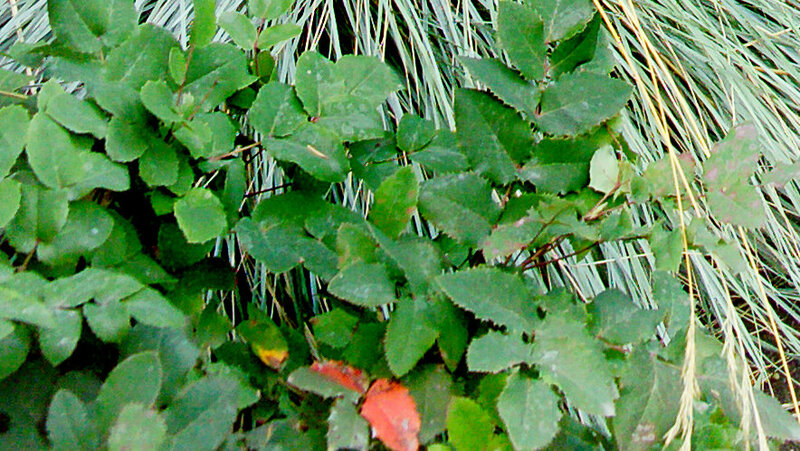 Bearing blue-green leaves that turn bronzy pink in winter, this Northwest native (shown at the bottom of the image) spreads by underground stems. It sends out clusters of yellow flowers in spring. The ultimate moptop, thread-leafed maple could eventually (and slowly) top out at 6 to ​7 feet. 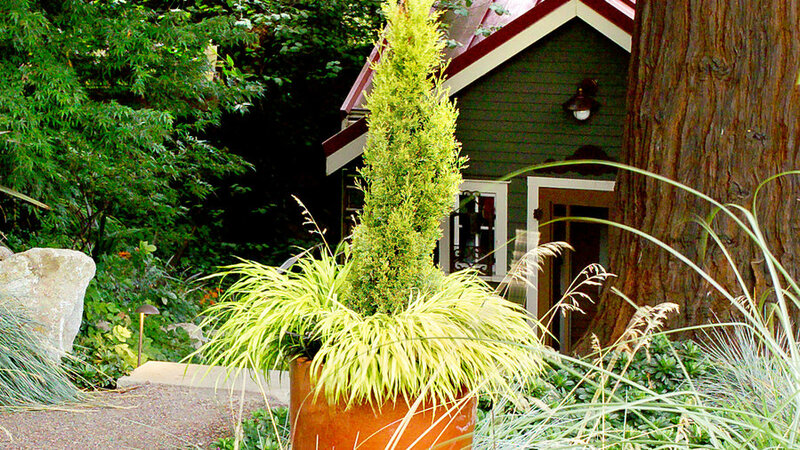 Plant a 15-gallon size for fast effect.